The scientist behind DefenAge® discovered the key to youthful skin involved powerful peptides called Age-Repair Defensins®. These naturally occurring peptides will support your skin’s immune function over time, targeting improvement in key signs of aging. The DefanAge® line of products is the first and only 4th-generation skin care featuring this stand-alone breakthrough with a natural mechanism of action. At Restore SD Plastic Surgery, we believe in science and recommend only proven products to our patients. We are pleased to be one of the first practices in San Diego to embrace this new skin care technology and offer it through our La Jolla office. Using the simple 3 product regimen you can expect to see a visible correction of up to 16 signs of aging just in 6 weeks! 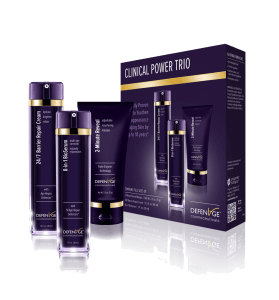 You can purchase your favorite products individually or save with the Clinical Power Trio. There are thousands of skin care products on the market and many require a complicated series of steps to apply. DefanAge® is perfect for busy professionals or do-it-all Moms because it is simplified to three products. The beauty of DefanAge® is that in addition to full size products, it is also available in a TSA friendly compact “Fly Kit” for frequent travelers. 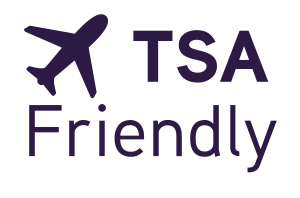 If you have left your favorite products behind because they are not TSA compliant, rest assured that the Fly Kit will let you maintain your regimen while out of town. DefanAge® is physician dispensed and most cost effective when purchased through a physician’s office. When you are ready to invest in a simple but highly effective skin care regimen, come visit us at Restore SD Plastic Surgery and see what DefanAge® can do for you.